You might think that the living room is the most "lived in" room in your house, but it's usually the kitchen! Your kitchen is the heart of your home; a place for entertaining and socialising as well as cooking and enjoying your meals with your family and friends. Whether you'd like to maximize your space, build an island or add a sleek, modern touch to your kitchen, our highly-experienced staff will help you along every step of the way. Kitchen remodeling is no small decision, so we're more than happy to answer any and all of your questions to help you feel comfortable with yours. Our Design Specialist can help you to create the right kitchen to blend perfectly into your home and to suit your lifestyle needs. 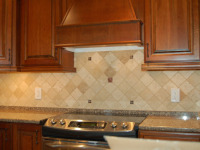 Our success is a result of our personal touch that we put into every kitchen remodeling project that we do. Our experience has taught us that our greatest resource is you. We listen to your desires, needs and goals and give you the best solutions to accomplish your goals within your kitchen remodeling budget. Every kitchen remodeling project, is different and we approach every job with the agility it takes to deliver that special touch you are looking for. We combine old-world craftsmanship with the latest technology on the market to show you exactly what you will receive before you make a commitment. We will do the complete project on time and within your budget. 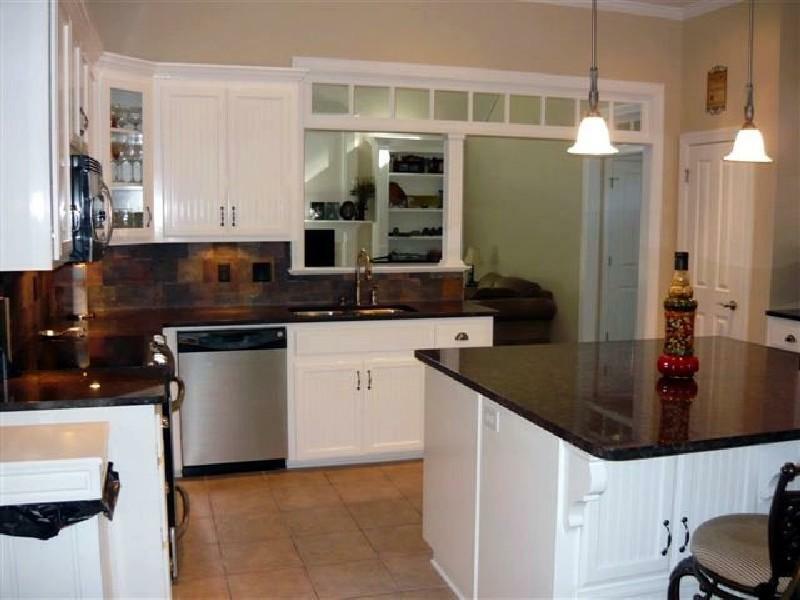 With reasonable pricing we will be competitive with all of those refacing and cover up old existing problems giving you a completely new renovated kitchen for years of enjoyment and increased property value. A good bathroom renovation can increase the overall enjoyment of your home. Also, remodelling your bathroom can be one of the best returns on investment in your home. Bathroom renovations are one of our specialities at Hathcock Roofing and Remodeling. Bathroom renovation may not be rocket science, but the work that goes into it is just as important. Careful planning and preparation is needed before you start. How easy is it to plan and start your bathroom renovation? With Hathcock Roofing and Remodeling, getting started on your remodeling project is easier than you know. And there will be no doubt how much satisfaction and pride you’ll get from your new bathroom! 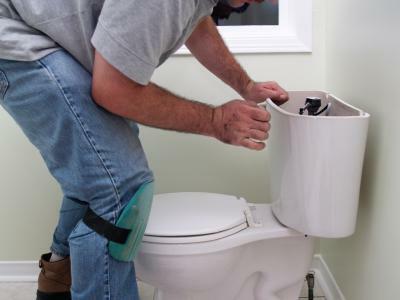 Moving or relocating of walls depending on the scope of your bathroom renovation project. 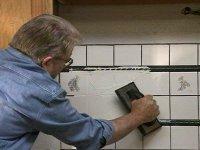 Most homeowners want to renovate their bathroom to 'update' it into a more modern new install. 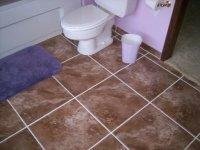 We understand this and have developed a system that allows you to update your bathroom on a budget that works for you. 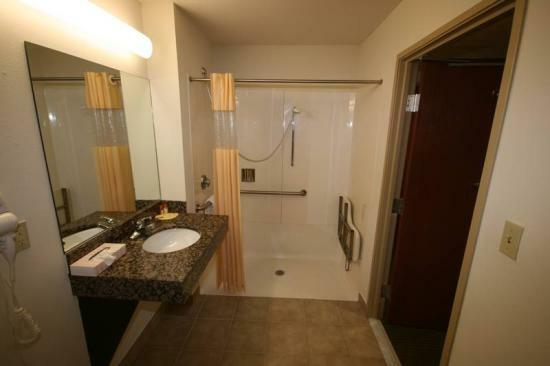 Whether you have a budget of $5,000 or $20,000 we can customize a bathroom just for you! Does your bathroom renovation involve resizing? What fixtures do you need replaced? How will your renovation affect your electrical wiring system? What’s the condition of your drywall? 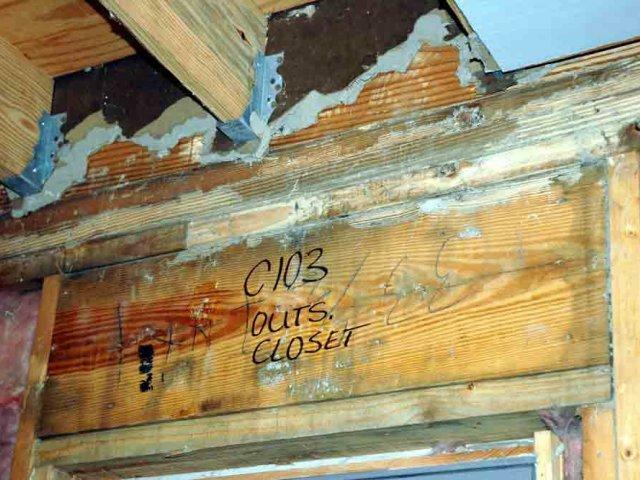 Does your plan affect any of your home’s load-bearing walls? Resizing may be an option in turning your little powder room into a spacious and luxurious bathroom. Sometimes, it can be as little as changing and knocking down a few built-in bathroom cabinets to free up space. Other times, it’s a total expansion of your bathroom. Give us a call and let us know how much resizing your renovation plan may require. Renovating also means redesigning and your stunning new bathroom will need equally beautiful fixtures. So carefully consider which fixtures you need replaced. If you want to design your new bathroom around your vintage clawfoot brass bathtub, get new fixtures to complement it. If your plan is to go monochromatic, we’ll show you how it’s done! Through our suppliers and industry partners, we’ll be able to help you with your bathroom fixtures, accessories, electrical wiring system, drywall needs, and load-bearing wall concerns. Whatever your design needs are, you’ll be sure to find it with Hathcock Roofing and Remodeling. Room additions are a great solution for providing additional living space to your home, if your family is growing, or is expecting to grow. Room addition costs are also comparatively low compared to selling your existing home and moving to a new and larger home. Room additions, versus buying existing larger homes, also offer the opportunity to be creative and to customize future living space. Room additions bring a unique extension to your home whether it’s an attractive extended family room additions, expanded spacious master bedroom, a new luxurious living room additions, or an enlarged kitchen. Room additions can be plain and simple or exceptionally extravagant. We have taken care of small room additions as well as large room additions. 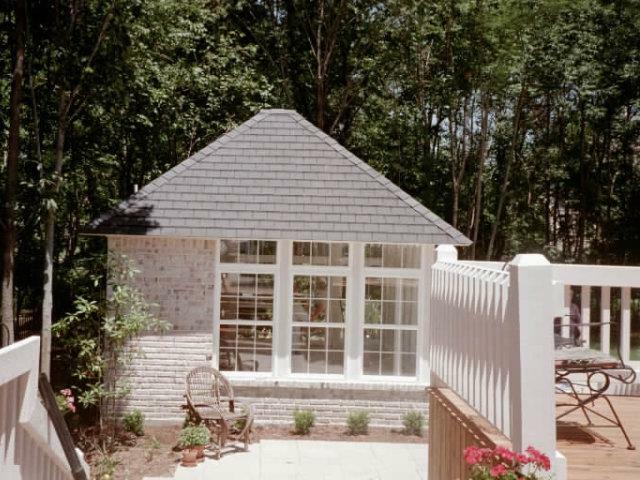 With Hathcock's Roofing and Remodeling stress-free room addition construction process every project is hassle-free and includes you in the process. 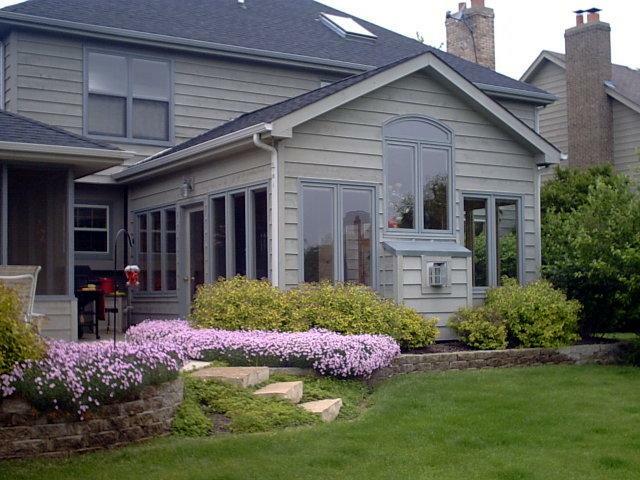 Your ideas and preferences help with the enhancement of the room addition design, materials selection, and floor plan. We can help with choosing the most economical, practical, and yet aesthetically pleasing solution while incorporating your ideas with our expertise to make your dream remodeling project come true. Adding a room on your own home allows you to remain in the secure surroundings you've come accustom to living in. Not having to relocate means your kids get to stay in the same school system and near all of their friends. Building on is more cost effective than buying new so there is less risk involved with the financing or loss of your savings. 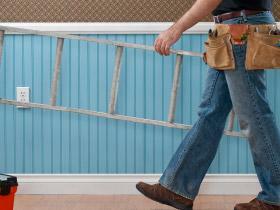 Room additions are the only type of home improvement that guarantees increased property value. Every method for calculating a home's value is based on the heated square foot so raising that number means your property value can only increase. All of these items will dictate where you can locate your room addition. Our design professionals can assist you in making these decisions. You are not alone! Our interior paint jobs are rated high by homeowners. 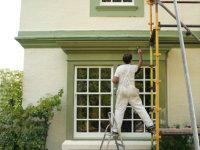 We do all kinds of paint jobs from small apartments to large luxury houses. Ceramic tile has been used for centuries, and with today's technology, manufacturers have created new design and application possibilities that were not available even a decade ago. If you have never used ceramic tile before, or it has been a long time since you have done so, you will be amazed at the wide selection of colors, sizes, shapes and new textures that are now available. Areas of specialty include ceramic, porcelain and stone tiled floors, kitchen back splashes, bathroom remodeling, porcelain and ceramic tile counter tops, entryways, and other decorative stone structures. We can help you select the proper materials for your project and job consultation is free. 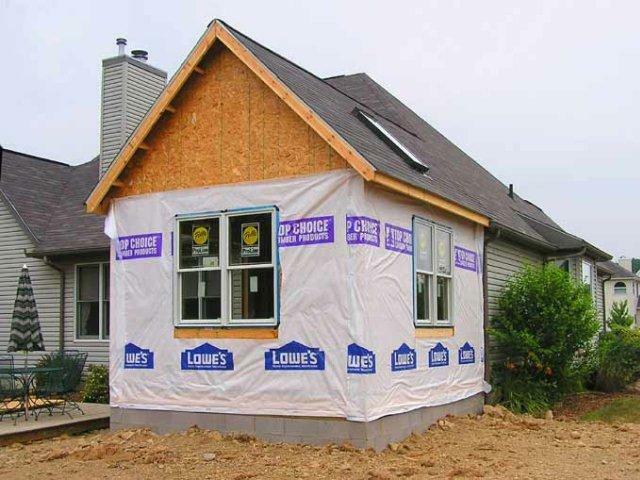 Work can be scheduled to your particular circumstances and projects are excepted for both new construction and remodeling of preexisting homes. Combining years of experience with dedication and skill, Hathcock Roofing and Remodeling staff of installers will make your tile plans a glorious reality. From simple tile flooring, to complex designs to specialty applications, we have the staff to do the job right and to your expectations. 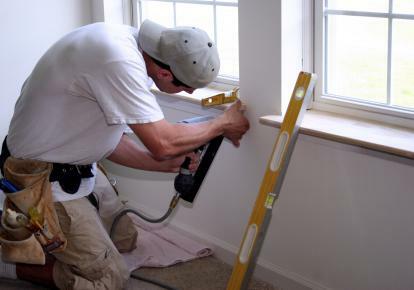 Our skilled staff work on both new and remodeling projects and display the finest quality workmanship. Our projects include both commercial and residential jobs involving ceramic tile, slate, marble, and quarry tile, for kitchens, baths, foyers, sunrooms, and patios. 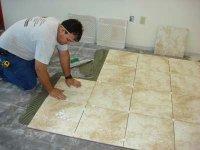 We look forward to working on your next tile project. If you're looking for a replacement contractor, you'll find skilled and experienced service with Hathcock Roofing and Remodeling. Renovation is our specialty, and we've been serving customers throughout the Tri-State area for over 66 years. People know they can count on us! Though we follow trends closely so we can accommodate our customers needs and tastes, we also put a strong emphasis on excellence in workmanship and customer service. We give all of our customers the personalized service they need, and we work with only the highest quality materials. 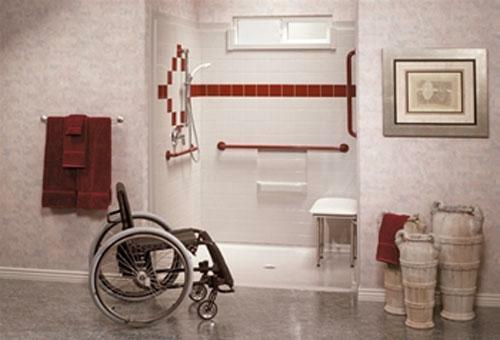 At Hathcock Roofing and Remodeling, we understand the importance of independence for people living with disabilities. 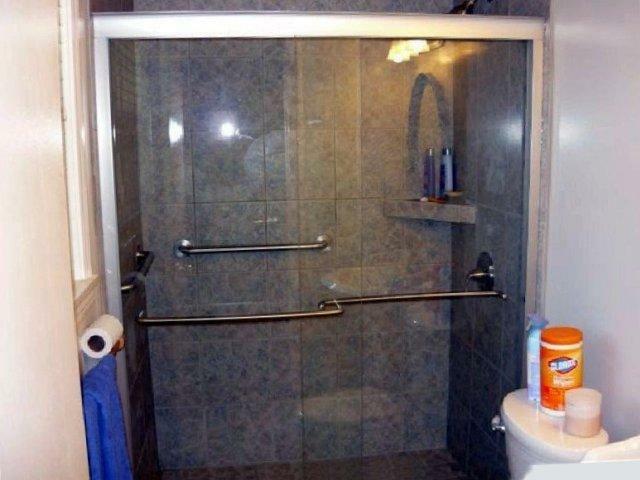 We make homes handicap and wheelchair accessible by providing our clients the ability to enter and move around without any obstacles. Our professional staff works closely with Occupational Therapists and other Health professionals who assist in implementing the best solution to the individual client. Our Goal is to adjust our clients’ environment to best suit their needs and allow them to be as independent as possible in their own familiar home. As a licensed and bonded company our professional staff works in compliance with all local building codes and regulations. 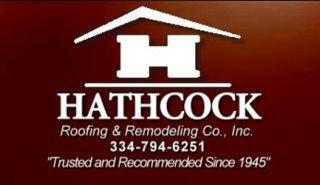 Hathcock Roofing and Remodeling are experts in maintenance and repairs. We have the tools and equipment, needed to handle any project around your home or business. We are dependable, quality-focused and prepared to take care of your service needs. All employees are covered by workman’s compensation insurance and our customers are covered with general liability and builders risk insurance. From the moment you call in your job request, you will receive our utmost attention until your job is finished and you are satisfied. A cedar shake roof has a distinctive appearance which people often find appealing, but using cedar shakes for roofing has a number of advantages beyond basic aesthetics. 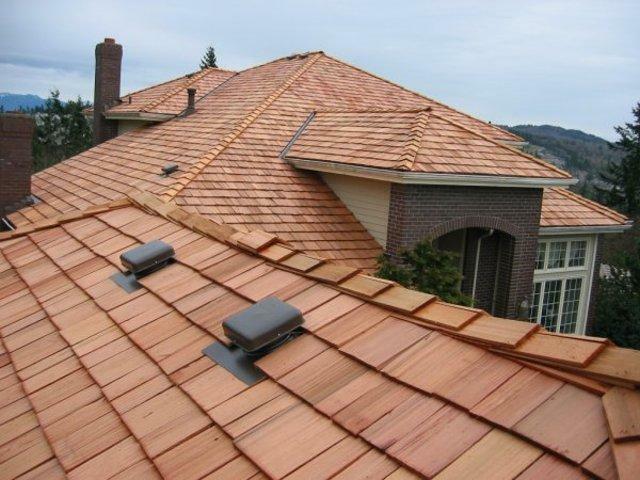 When considering roofing options, cedar shakes are certainly something to think about. Although a cedar shake roof can be more expensive to install than some roofing materials, the cost may be outweighed by the numerous benefits, including long term durability. Carlisle’s Sure-Weld Roofing Systems are hot! Our thermoplastic polyolefin (TPO) membrane offers system strength and reflectivity with dimensional stability while maximizing the benefits of heat-welded seams through the 6’ and 10’wide sheets. Performance Advantages. Aunique advanced polymerization technology combined with tough polyester fabric delivers durability, weatherability and heat-weldability, resulting in a membrane specially formulated to withstand the elements. At Hathcock Roofing and Remodeling we understand that disasters can strike any time and without warning to commercial or residential property. When it does, you need reliable and effective cleanup help fast. The Hathcock Roofing and Remodeling staff responds to your call right away. Hathcock Roofing and Remodeling will provide an immediate on site comprehensive damage assessment. Our experts will accompany you during the restoration process and help you get back to normal ASAP. We can begin emergency board-up and weatherization, clean-up and salvage immediately if necessary. Our work includes the removal of contaminated and salvageable building materials, as well as smoke, soot and water decontamination of the entire affected area. Our staff will help make your damaged home or business look like new again. All of the materials in your premises have different properties when wet, so the drying must be carefully considered to make sure that the area is thoroughly dry with minimal water damage. 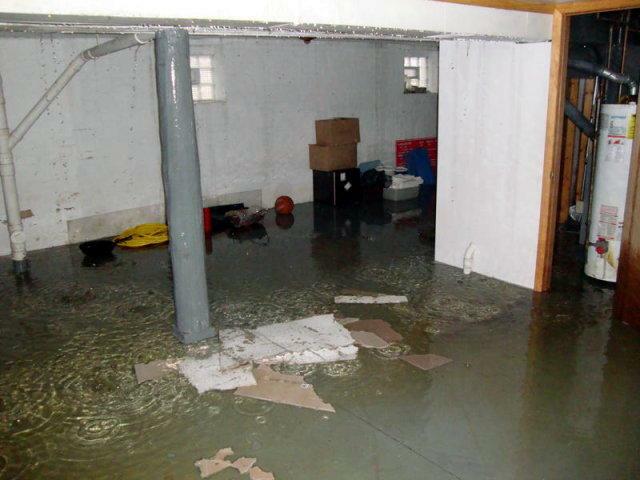 We have experience in drying out properties of all sizes and conditions – from light rain damage to structural water saturation from deep flooding. Our main goal is to get your property dried as quickly as possible and ready for restoration. Because when it comes to water damage, every hour counts. We do all exterior repair, from roofing and siding to windows, decks, fencing and gutters as well as interior repair including water and storm damage. We will walk you through the process and work with you and your insurance carrier, even before the adjuster has arrived. Emergency service is available. 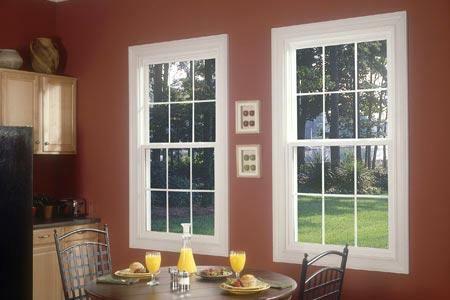 We are selective in our materials and offer many options for the customer to choose. We will give estimates and ensure your property is not only repaired but improved. With our employees having over 66+ years experience in delivering quality home renovations we utilize the experience and expertise of licensed insurance professionals to assist with the claims recovery process. From the free storm damage inspection through to the quality of building products we use, we continue to provide personal service and maintain life-long relationships with our customers. Hathcock Roofing and Remodeling is a locally owned and operated business specialising in the restoration and repair of all termite damage. Peace of mind is assured with us as we have a team of professional trade persons having over 75 years experience within the industry. We have been specialising in the area of repairs to termite damage for the Tri-State area since 1945. We believe that our professionalism and the service we provide will allow you the confidence during this stressful time to know that we can be trusted to get the job done to an excellent standard. At Hathcock Roofing and Remodeling, we understand the trama that a homeowner goes through when their home is damaged by something unforeseen. 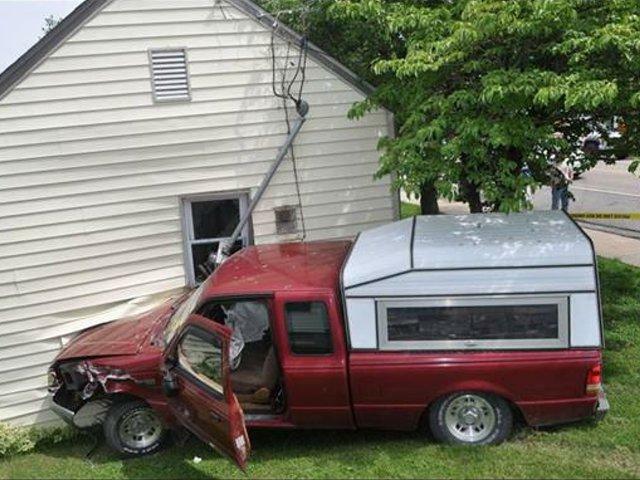 After all, it's not every day that a car jumps the curb and plows into your living room. Our staff will work diligently to get your repairs done quickly and ensure that your home value is not affected by accidents. 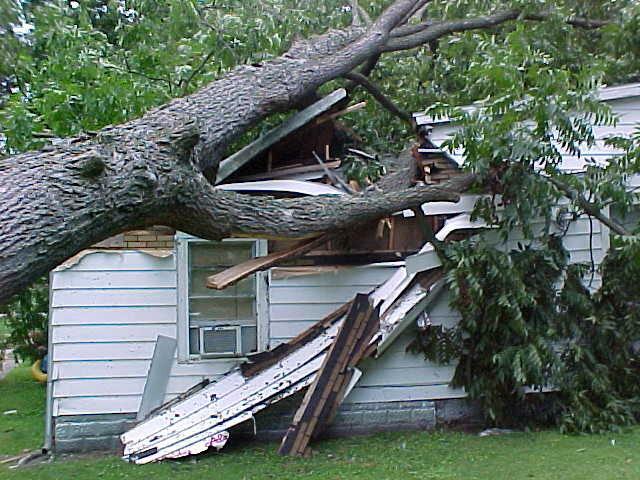 No matter what your damage is, we can provide repair services to restore your property to it's pre-damage condition. At Hathcock Roofing and Remodeling, we will respond promptly to get your repairs done as quickly as possible with the same quality of service that we provide to everyone. There will be no short-cuts by our staff so you can be assured of a quality job done right. 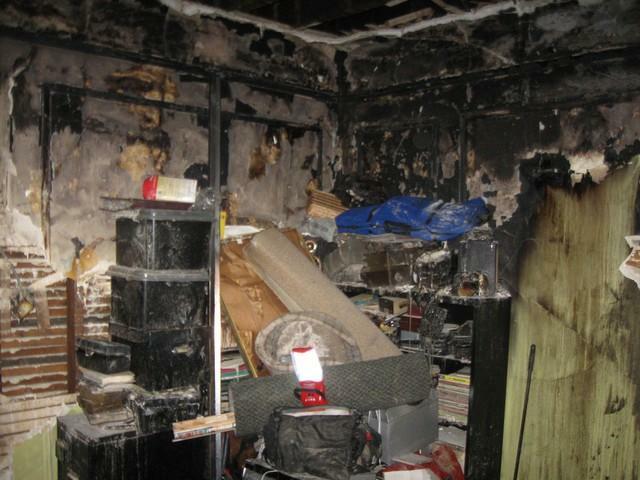 We have developed a multi-step process for cleaning up the damage from fire and smoke damage, soot removal, and repairing and restoring your property to its pristine livable state. We are experts in repairing all types of water damage and building leaks. 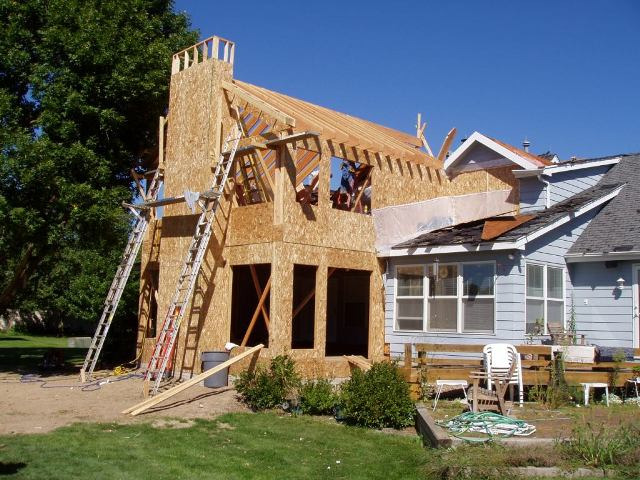 We provide a complete repair from demolition to framing, wall flashing, sheet metal fabrication, window installation, application of stucco or siding, drywall, painting and interior and exterior finishes. If your home has been impacted by storm damage, we offer complete restorations services that include: emergency tarping, roof inspection & repair, water extraction and water damage repair to carpet, sheet rock, hardwood floors and more. We can help repair all your termite damage problems. We offer full restoration services and emergency clean-ups, which includes termite damage repair. We can do complete repair and reconstruction of residential, commercial, public, church and school buildings damaged by collisions. Time is of the essence when it comes to an emergency situation. We offer emergency services 24 hours a day - 7 days a week. Our Emergency Services Include: tarping, board up & secure building, emergency wind & leak repairs, emergency roof repairs and emergency due to fire. 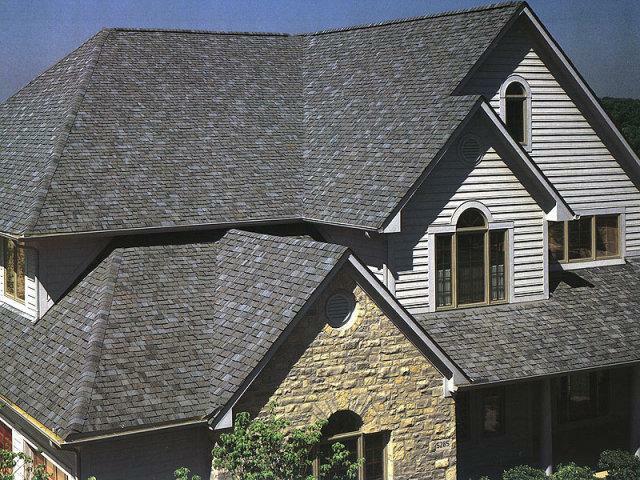 A home owner who is looking for a beautiful, distinct roof should consider cedar shakes. The aesthetic appeal of cedar shakes is what draws most people to it, but there are many more benefits to this style of roof. They are durable, have a high insulation value, are environmentally friendly, and are resistant to wind, fire, and impact. 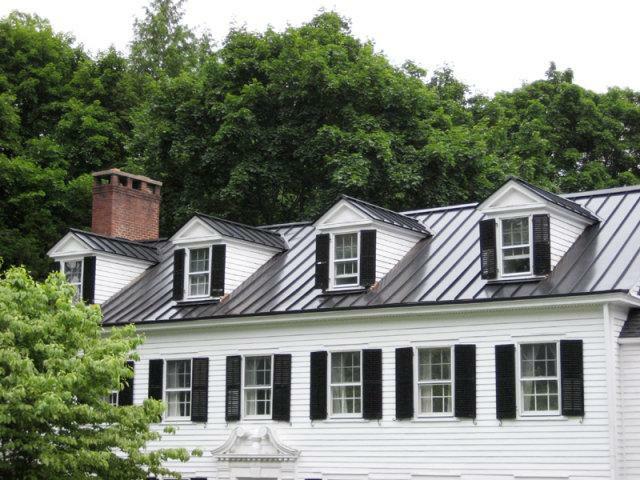 Modern metal roofing offers many advantages over asphalt shingle, and cedar shake roofs. Metal roofing is a green roofing material, which means that it can be used in conjunction with green building practices, and provide a long lasting and environmentally safe alternative to conventional roofing. 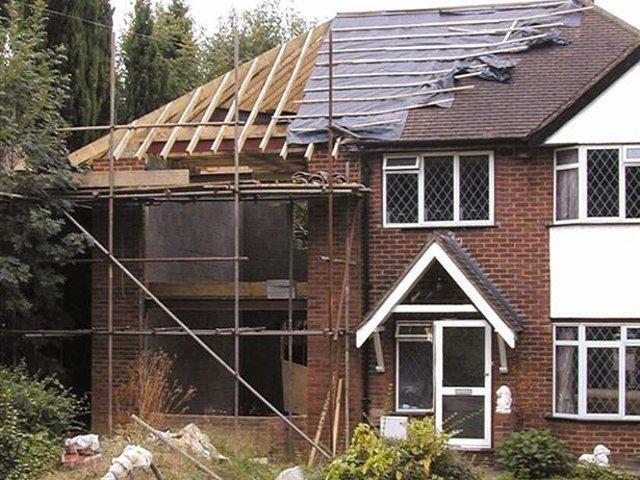 Single ply roofing offers a number of benefits over traditional BUR (built up roofs). It is has a long life span (up to 40 year life expectancy), provides strength, durability, is Eco-friendly, and is available in a variety of materials and colors. 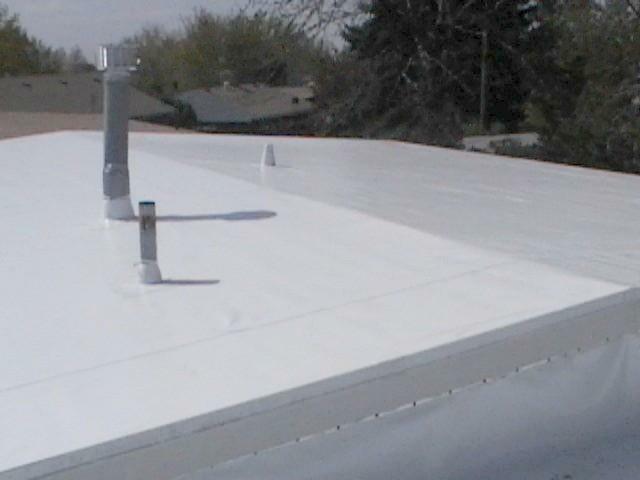 Single ply roofing systems offer the advantages of rapid installation and lightweight construction.